​CreditZap was able to help one of my clients recently during the purchase of his new home. They worked directly with the credit bureaus and creditors to remove 5 accounts and 72 inquiries within 2 weeks. They also corrected 3 additional accounts in a couple days. I was blown away how fast they were able to fix his credit! I would highly recommend CreditZap to help you with any credit issues you have. ​I have a few customers that needed to clean up their credit. I sent them here and they have called and thanked me. They are thrilled to be able to do things they couldn't before. Thank you for helping them!! Debra S. - 02/19/2019 "Mile Stone"
LEFT "Debra" Right - President and CEO "Michael Gill". ​Today was a fabulous day. 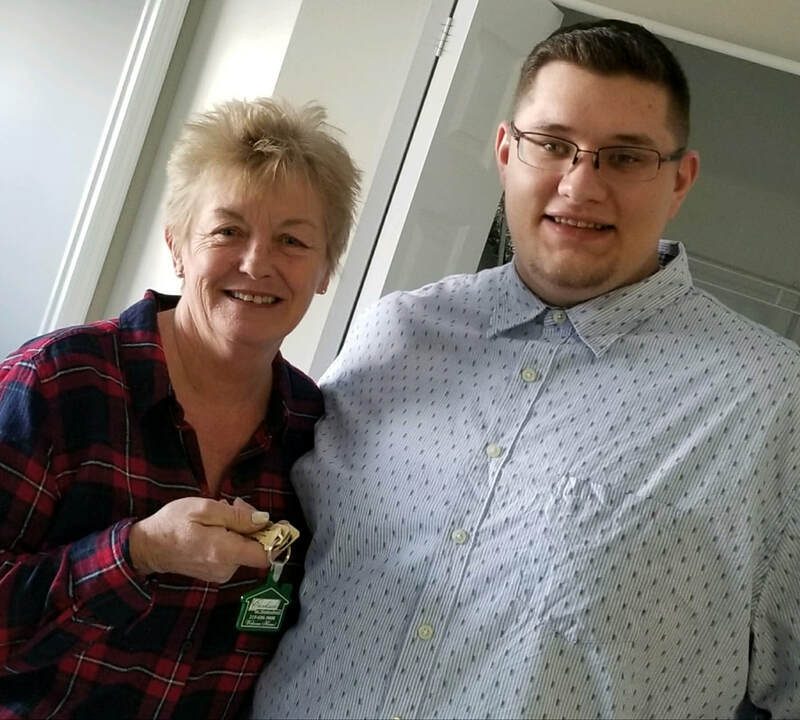 CreditZap got to watch as Debra gained access to her new residence, Which CreditZap was able to aid/assist her in obtaining, By way of Credit Repair. ​Customer service is a 10! ​100 point improvement in 3 weeks. CreditZap has a proven performance record of helping clients improve their credit scores which can save you thousands in financing charges or help you get the loan you need for you and your family. If you have credit issues, or simply want to improve your score, give CreditZap a call. They have made significant improvements on credit reports and can help you too! We thought we could do it ourselves.. well not in this lifetime. Michael and CreditZap worked with us every step of the way. Finance reviews are stressful but CreditZap went above and beyond to check in to make sure our questions were answered. I came to Creditzap not knowing what was going to happen, Michael Quickly helped me understand what I was going through. After being with the service for four months they were able to correct every issue they stated from the start. I had inquired about my situation with two other companies and they both quoted me around a year. to get it all taken care of. Creditzap was amazing.